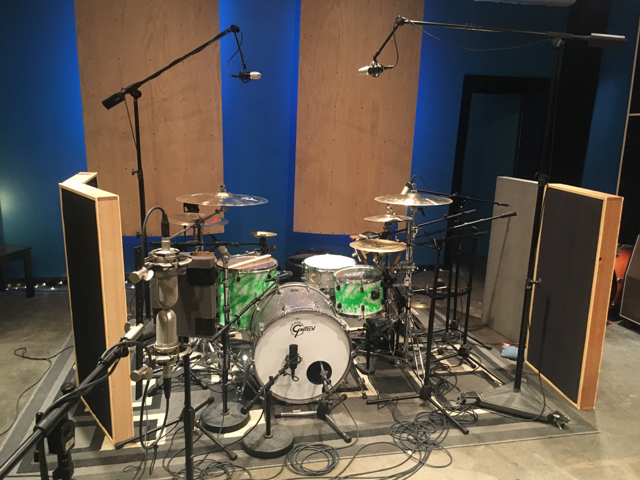 A Page Unturned was back in the studio recording drums for two more singles. 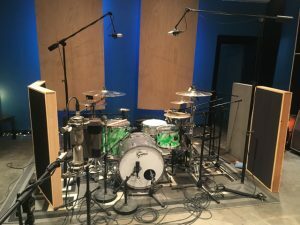 Drummer Ryan Sebold does an amazing job of laying down the foundation for this band. 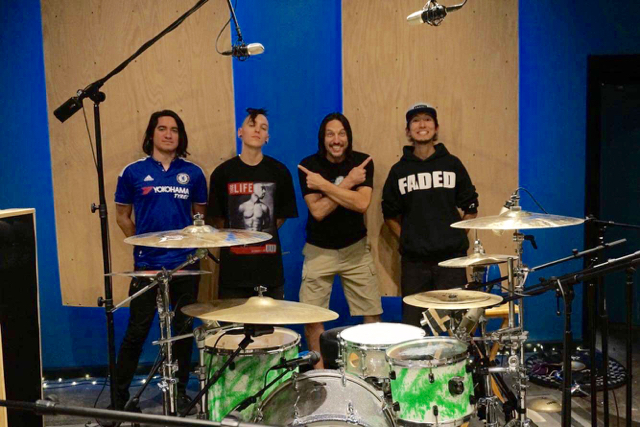 Part of the wave of pop-punk revival acts, A Page Unturned cited influences like Blink 182, New Found Glory, and Ellegarden, Creating energetic, melodic, fast-paced music that captures the essential roots of the 90’s/2000’s Pop-punk sound while creating a new exciting sound of their own. For all of my sessions I like to talk with the artists before hand about what the goals are for the session. In this case Ryan and I talked at length about what type of sounds the band wanted for this round of songs. That helps me put together a plan on how best to achieve the artists goals. For these songs he wanted a big, aggressive, sound. Knowing that we used a combination of drums. My 18×22 Gretsch kick with an Evans Emad head, Ryan’s Pearl Forum toms with clear Remo Emperor heads, and Ryan’s Orange County Percussion snare drum with a Remo P77 head. 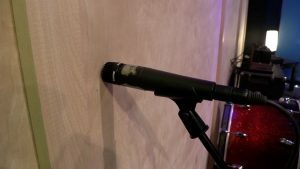 The Emad on the kick does a great job of giving a tight punchy low end while still having some high end smack to cut through the mix. 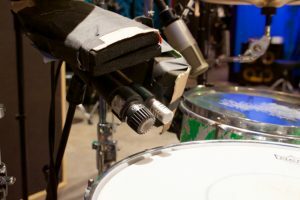 The clear Remo Emperors (my favorite) do a little better job of cutting through a mix than their coated counter parts. At least for this king of music where there is a lot happening in the songs. 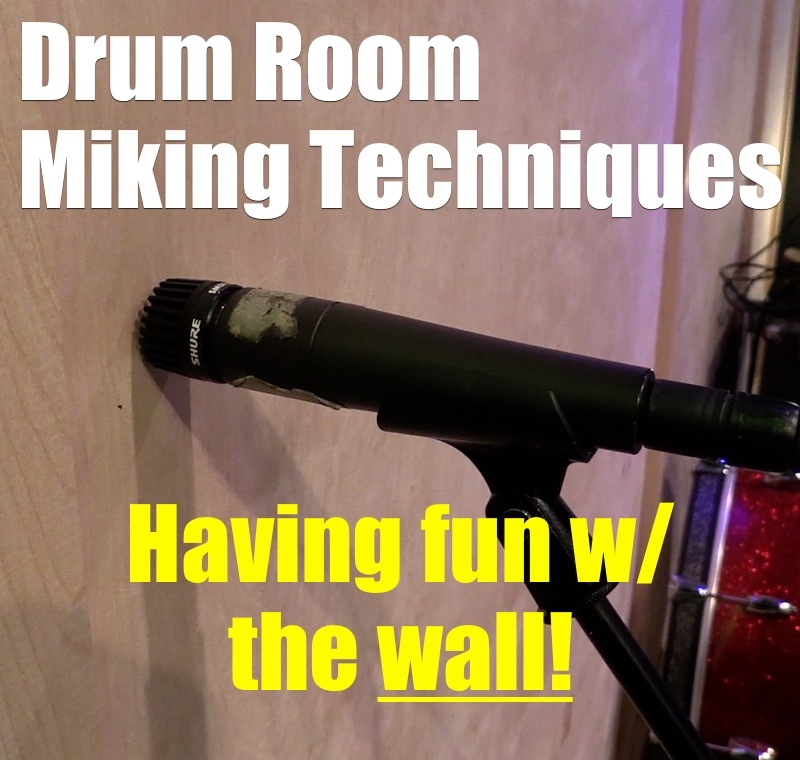 I cover all the mic setup in the video but some of the stand outs for me are the Audio-Technica ATM250/Roswell Pro Audio Mini K47 combo on the kit. This combo give me the good note definition I need with a good solid low end that is fast and punchy. Add in some DBX 160x on the inside kick mic and we’ve got one hell of a kick sound. The snare was a combo of an SM57 and AKG 451b on top and a SM57 on bottom. The top mics get a little eq from the Trident 88 and some compression from my Aphex 651 Expressors. lately I’ve been leaning towards my Heil PR30 for hi-hats. They are not harsh like a condenser but still have really good articulation. Check out the A Page Unturned website and A Page Unturned Facebook Page.